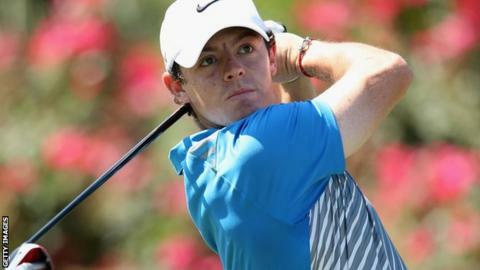 Rory McIlroy said he was disappointed with a 70 in the opening round of the Players Championship at Sawgrass. The former world number one from Northern Ireland had been five under par in his round but let three shots slip to finish Thursday on two under. Graeme McDowell is one better on three under, six behind leader Martin Kaymer, but Darren Clarke opened with a 76. "Guys are going low so 70 is going to be pretty average by the end of the day," admitted McIlroy. "I played really solidly for the first 11 holes but let a few shots get away from me at the end. "But I feel like my game is in good enough shape and that I can go out tomorrow and shoot something in the 60s. "It is a course that has frustrated me in the past but I feel like I learnt how to play it last year. "I am coming in disappointed with a 70 when maybe a couple of years ago I would have been happy."